The web site (www.sbifundspms.com) contains features or services that we offer/propose to offer in due course. This material is for your private information only and is not intended as an offer or solicitation to buy or sell securities. While considering this information as reliable we take no liability or responsibility for individual investment decision based thereon. This web site is limited to information on Portfolio Management Services. Information on this web site may be updated at any time without prior notice. Information other than those relating specifically to Portfolio Management Services, and its products is for information purposes only and should not be relied upon as a basis for investment decision. The information contained here in has been prepared to assist interested parties in making their own evaluation and does not purport to contain all of the information that an interested party may desire. SBI Funds Management Private Limited, the Portfolio Manager does not give any guarantee or representation or warranty of any kind, whether actual or implied to the visitors/investors. The information and services included in or available on this site may include inaccuracies or typographical errors. SBI Funds Management Private Limited, the Portfolio Manager does not accept any responsibility for any error or omission or inaccuracy or mistake of any nature or any consequences of the use of the material/information displayed on the site. Each visitor/customer should make an independent evaluation or assessment of the transaction and should consult his/her its own professional advisor. The information provided by this web site may include certain statements, estimates and projections with respect to the anticipated future performance of any mutual fund. Such statements, estimates or projections reflect various assumptions concerning anticipated results and are subject to significant business, economic and competitive uncertainties and contingencies, may of which is beyond the control of the Portfolio Manager. Accordingly, there can be no assurance that such statements, estimates or projections may be realised. The forecast and actual results may vary, and those variations may be material. The Portfolio Manager cannot be held responsible for any information contained in the web site linked from this web site. Use of this service is at your own risk. The data and information provided in the web site is not professional advice and should not be relied upon as such. Neither the opinion or any information obtained from this web site constitutes a solicitation or offer by us to buy or sell its securities, financial product or instrument or to participate in any particular trading strategy. SBI Funds Management Private Limited makes no warranties of any kind regarding the dependability, accuracy, security, timeliness or availability of the web site, or its products/services mentioned herein. The distribution of the Disclosure Document in certain jurisdictions may be restricted or totally prohibited to registration requirements and accordingly, persons who come into possession of the Disclosure Document are required to inform themselves about and to observe any such restrictions and or legal compliance requirements. This term of use is governed by the laws of the Republic of India. The User hereby consents and submits to the exclusive jurisdiction and venue of Courts in Mumbai, India in all disputes arising out of or relating to the use of this web site or service. Investors are also advised to refer to the risk factors associated with Portfolio Management Services and read the Disclosure Document carefully and consult their Financial Advisor before taking decisions of investment. Securities investments are subject to market risks and there is no assurance or guarantee that the objectives of the Portfolio will be achieved. Past performance of the Portfolio Manager does not indicate the future performance of the portfolio. Investors are not being offered any guaranteed or assured return/s i.e. either of Principal or appreciation on the portfolio. Investors may note that Portfolio Manager’s investment decisions may not be always profitable, as actual market movements may be at variance with anticipated trends. The liquidity of the Portfolio’s investments is inherently restricted by trading volumes in the securities in which it invests. The valuation of the Portfolio’s investments, may be affected generally by factors affecting securities markets, such as price and volume volatility in the capital markets, interest rates, currency exchange rates, changes in policies of the Government, taxation laws or any other appropriate authority policies and other political and economic developments which may have an adverse bearing on individual securities, a specific sector or all sectors including equity and debt markets. There will be no prior intimation or prior indication given to the Clients when the composition/ asset allocation pattern changes. Trading volumes, settlement periods and transfer procedures may restrict the liquidity of the investments made by the Portfolio. Different segments of the Indian financial markets have different settlement periods and such periods may be extended significantly by unforeseen circumstances. The inability of the Portfolio to make intended securities purchases due to settlement problems could cause the Portfolio to miss certain investment opportunities. By the same rationale, the inability to sell securities held in the portfolio due to the absence of a well developed and liquid secondary market for debt securities would result, at times, in potential losses to the Portfolio, in case of a subsequent decline in the value of securities held in the Portfolio. The Portfolio Manager may, considering the overall level of risk of the portfolio, invest in lower rated/ unrated securities offering higher yields. This may increase the risk of the portfolio. Such investments shall be subject to the scope of investments as laid down in the Agreement. Interest Rate Risk: As with all debt securities, changes in interest rates may affect valuation of the Portfolios, as the prices of securities generally increase as interest rates decline and generally decrease as interest rates rise. Prices of long-term securities generally fluctuate more in response to interest rate changes than prices of short-term securities. Indian debt markets can be volatile leading to the possibility of price movements up or down in fixed income securities and thereby to possible movements in the valuations of Portfolios. Liquidity or Marketability Risk: This refers to the ease with which a security can be sold at or near to its valuation yield-to-maturity (YTM). The primary measure of liquidity risk is the spread between the bid price and the offer price quoted by a dealer. Liquidity risk is today characteristic of the Indian fixed income market. Credit Risk: Credit risk or default risk refers to the risk that an issuer of a fixed income security may default (i.e., will be unable to make timely principal and interest payments on the security). Because of this risk corporate debentures are sold at a higher yield above those offered on Government Securities which are sovereign obligations and free of credit risk. Normally, the value of a fixed income security will fluctuate depending upon the changes in the perceived level of credit risk as well as any actual event of default. The greater the credit risk, the greater the yield required for someone to be compensated for the increased risk. Reinvestment Risk: This risk refers to the interest rate levels at which cash flows received from the securities under a particular Portfolio are reinvested. The additional income from reinvestment is the “interest on interest” component. The risk is that the rate at which interim cash flows can be reinvested may be lower than that originally assumed. The Portfolio Manager may use various derivative products as permitted by the Regulations. Use of derivatives requires an understanding of not only the underlying instrument but also of the derivative itself. Other risks include, the risk of mispricing or improper valuation and the inability of derivatives to correlate perfectly with underlying assets, rates and indices. The Portfolio Manager may use derivatives instruments like Stock Index Futures, Interest Rate Swaps, Forward Rate Agreements or other derivative instruments, as permitted under the Regulations and guidelines. Usage of derivatives will expose the Portfolio to certain risks inherent to such derivatives. Risks attached with the use of derivatives - As and when the Portfolio Manager trade in the derivatives market there are risk factors and issues concerning the use of derivatives that investors should understand. Derivative products are specialized instruments that require investment techniques and risk analysis different from those associated with stocks and bonds. The use of a derivative requires an understanding not only of the underlying instrument but of the derivative itself. Derivatives require the maintenance of adequate controls to monitor the transactions entered into, the ability to assess the risk that a derivative adds to the portfolio and the ability to forecast price or interest rate movements correctly. There is the possibility that a loss may be sustained by the portfolio as a result of the failure of another party (usually referred to as the “counter party”) to comply with the terms of the derivatives contract. Other risks in using derivatives include the risk of mis pricing or improper valuation of derivatives and the inability of derivatives to correlate perfectly with underlying assets, rates and indices. Thus, derivatives are highly leveraged instruments. Even a small price movement in the underlying security could have a large impact on their value. Also, the market for derivative instruments is nascent in India. Any act, omission or commission of the Portfolio Manager will be solely at the risk of the Client and the Portfolio Manager will not be liable or responsible for any act, omission or commission made or failure to act save and except in cases of negligence, willful default and /or fraud on account of the Portfolio Manager and it shall be the onus of the client to prove such negligence, willful default and/ or fraud. The Client undertakes all responsibilities and agrees to bear all risks arising out of refusal by a Company or Corporation for whatever reasons, to register the transfer of any of the Securities in respect of the Client’s account. The Securities which are so purchased and refused to be transferred in the name of the Client or the Portfolio Manager, by the Company or Corporation concerned, will be sold by the Portfolio Manager, at the best available market price, at the risk and responsibility of the Client concerned. Except to the extent otherwise provided herein, no liability shall result to either party from delay in performance or from non-performance caused by circumstances beyond the control of the Party affected, including but not limited to act of God, fire, flood, explosion, war, theft, action or emergency declared by the Government, accident, labour trouble or shortage, inability to obtain material, power, equipment or transportation, but each of the Parties hereto shall be diligent in attempting to remove such cause or causes. Past performance of the Portfolio Manager in a portfolio may or may not be sustained in the future and does not indicate the future performance of the same service in future or any other future service of the portfolio manager. Prospective investors should review / study this Disclosure Document carefully and in its entirety and shall not construe the contents hereof or regard the summaries contained herein as advice relating to legal, taxation, or financial / investment matters and are advised to consult their own professional advisor(s) as to the legal, tax, financial or any other requirements or restrictions relating to the subscription, gifting, acquisition, holding, disposal (sale or conversion into money) of Portfolio and to the treatment of income (if any), capitalisation, capital gains, any distribution, and other tax consequences relevant to their portfolio, acquisition, holding, capitalisation, disposal (sale, transfer or conversion into money) of portfolio within their jurisdiction of nationality, residence, incorporation, domicile etc. or under the laws of any jurisdiction to which they or any managed funds to be used to purchase/gift portfolio of securities are subject, and also to determine possible legal, tax, financial or other consequences of subscribing / gifting, purchasing or holding portfolio of securities before making an investment. Performance of the Portfolios may be impacted as a result of specific investment restrictions provided by the client. The liquidity and valuation of the Portfolio’s investments due to its holdings of unlisted securities may be affected if they have to be sold prior to their target date of disinvestment. The investments made by the Portfolio Manager are subject to risks arising from the investment objective, investment strategy and asset allocation. Corporate debt securities are subject to the risk of an issuer’s inability to meet interest and principal payments on its debt obligations (credit risk). Debt securities may also be subject to price volatility due to factors such as changes in interest rates, general level of market liquidity and market perception of the creditworthiness of the issuer, amongst others. The Portfolio Manager will endeavor to manage credit risk through an in-house credit analysis. The Portfolio Manager may also use various hedging products from time to time to reduce the impact of undue market volatility on the portfolio. As with any investment in securities, the value of the portfolio can go up or down depending on various factors that may affect the values of the investments. In addition to the factors that affect the value of individual securities, the value of the portfolio can be expected to fluctuate with movements in the broader equity and bond markets and may be influenced by factors affecting capital markets in general, such as, but not limited to, changes in interest rates, currency exchange rates, changes in governmental policies, taxation, political, economic or other developments and increased volatility in the stock and bond markets. Subject to necessary approvals as may be required and within the investment objectives of the Portfolio, the Portfolio Manager may invest in overseas markets which carry a risk on account of fluctuations in foreign exchange rates, nature of securities market of the country concerned, repatriation of capital due to exchange controls and political circumstances. Risk arising out of non diversification: The investment objectives of one or more of the portfolio management portfolios could result into concentration on a specific asset/asset class/sector/issuer etc., which could expose the portfolio to improper and/or undesired diversification. Investors may note that Portfolio Manager’s investment advice on specific securities investments, investment strategy and asset allocation for achieving investment objectives may not be always profitable, as actual market movements may be at variance with anticipated trends. The Portfolio Manager may, considering the overall level of risk of the portfolio, advice to invest in lower rated/ unrated securities offering higher yields. This may increase the risk of the portfolio. Such investments shall be subject to the scope of investments as laid down in the Agreement. Securities, which are not quoted on the stock exchanges, are inherently illiquid in nature and carry a larger amount of liquidity risk, in comparison to securities that are listed on the exchanges or offer other exit options to the investor, including a put option. The Portfolio Manager may advise to invest in unlisted securities that offer attractive yields. This may however increase the risk of the portfolio. Such investments shall be subject to the scope of investments as laid down in the Agreement. While securities that are listed on the stock exchange carry lower liquidity risk, the ability to sell these investments is limited by the overall trading volume on the stock exchanges. Money market securities, while fairly liquid, lack a well-developed secondary market, which may restrict the selling ability of the Portfolio(s) and may lead to the investment(s) incurring losses till the security is finally sold. Investing in Mutual Funds Units involves investment risks such as trading volumes, settlement risk, liquidity risk, default risk including the possible loss of principal and there is no assurance or guarantee that the objectives of the schemes will be achieved. As the price / value / interest rates of the securities in which the portfolio invests fluctuates, the value of investments in the schemes may go up or down depending on various factors and forces affecting the capital markets and money markets. Past performance of the AMC / Mutual funds does not guarantee future performance of the scheme and may not necessarily provide a basis for comparison with other investments. SBI Sunrise along with its asset allocation strategies identified under Silver, Gold and Platinum are the names and does not in any manner, indicate either quality of the portfolio or its future prospects or returns. The portfolio will invest in a combination of Growth and Income Funds of Mutual Fund schemes. Therefore the performance of the portfolio would depend upon the performance of the underlying schemes. The performance of the portfolio may be affected by changes in Government policies, general levels of interest rates and risk associated with trading volumes, liquidity and settlement systems in debt and equity markets. The portfolio has diverse/ varied asset allocation and therefore will incur expenses in addition to the expense of the Mutual Fund Schemes in which the portfolio makes investments. The portfolio incurs transaction costs and Taxes that are as per the regulations that are applicable to the schemes while rebalancing the portfolio. Investment in debt schemes will have all the risk associate with the debt markets including interest rate risk, duration risk, credit risk, and reinvestment risk. There may be an element out of risk arising of currency movements, restriction on repatriation, and transaction procedures in overseas markets wherever the portfolio has invested in to both and debt and equity schemes of the mutual funds. To the extent the debt and equity schemes of mutual funds are permitted to invest in derivative instruments the portfolio is exposed to the high risk, high return derivative instruments. The value (price) of gold may fluctuate for several reasons and all such fluctuations will result in changes in the NAV of units under the scheme. The factors that may effect the price of gold, among other things, include demand and supply for gold in India and in the Global market, Indian and Foreign exchange rates, Interest rates, Inflation trends, trading in gold as commodity, legal restrictions on the movement/trade of gold that may be imposed by RBI, Government of India or countries that supply or purchase gold to/from India, trends and restrictions on import/export of golden jewellery in and out of India, etc. 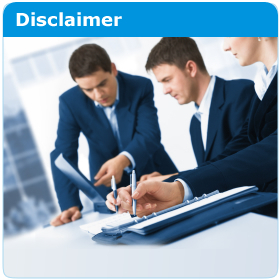 For detailed risk factor, please refer to Disclosure Document before investing.